What's even better than matchy-matchy Calvin Klein undie sets? 20% off 'em and everything else. Get 10% off purchases at specialty tea shop T2 when joining their Tea Society. Spend over £35 at L’Occitane and get a luxey easter egg tin with lovely products inside. If you need to buy any gifts or want to treat yo'self, buy two products at Kiehl's and get a goodie bag free. If you’re planning on spending £100 on White Company soon, now’s the time — get a free candle worth £20. 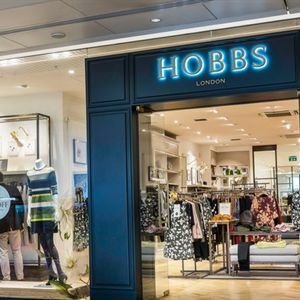 Hobbs is offering an extremely decent 20% off everything in their full price range.